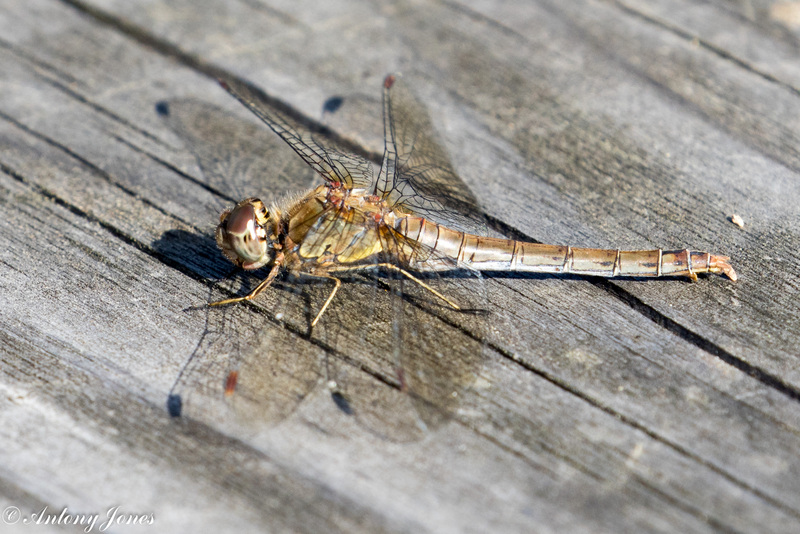 Male Common Darter sunning itself on a wooden table. 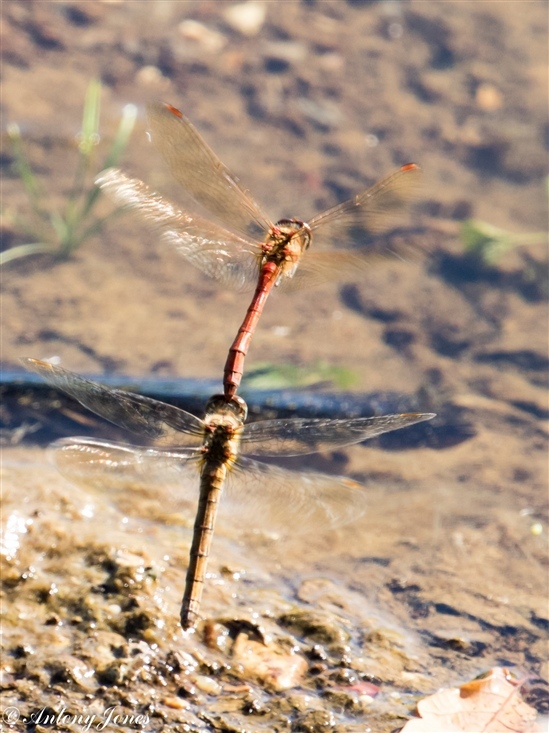 I think this is also a Common Darter but an old female. 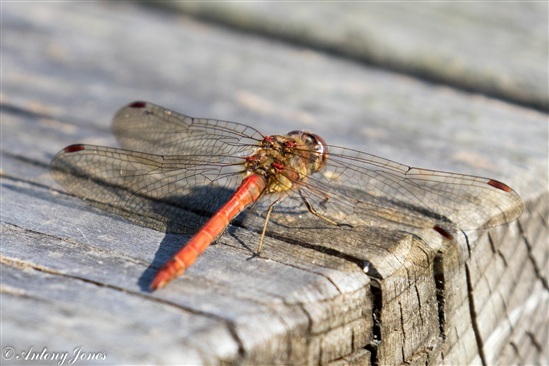 It almost looks as though it's ovipositing on the wood. Shadows giving the illusion of an additional set of wings. Great captures Tony and good to see the dragonflies still enjoying the Autumn sunshine on offer. Sunny and warm which brought out the dragonflies again. 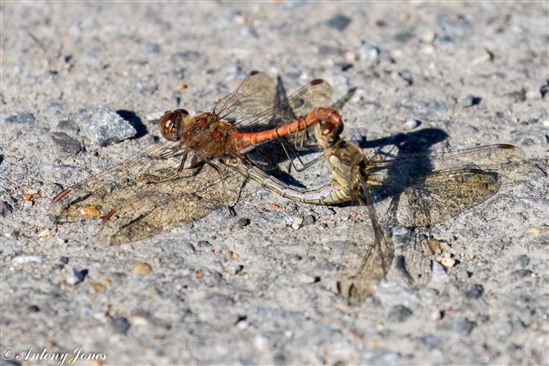 Common Darters coupling although a tarmac path wasn't perhaps the most romantic location or a great background for photos. And ovipositing in tandem in very shallow water. Just crashed into moth lights ... talk about a fright ... am sure you'll know what variety this is?? Didn't know they flew at night but some do & are attracted to light ... live & learn!! I didn't know they flew at night either. I've always assumed they roosted somewhere until it warms up during the day. I looks like a male Migrant Hawker, Wendy. Thanks TJ, was very impressive & a privilege to get such a close view! I've had a few come to the moth traps, but none as big & impressive as that Wendy. Was quite unharmed thank goodness & flew quite happily after photoshoot!